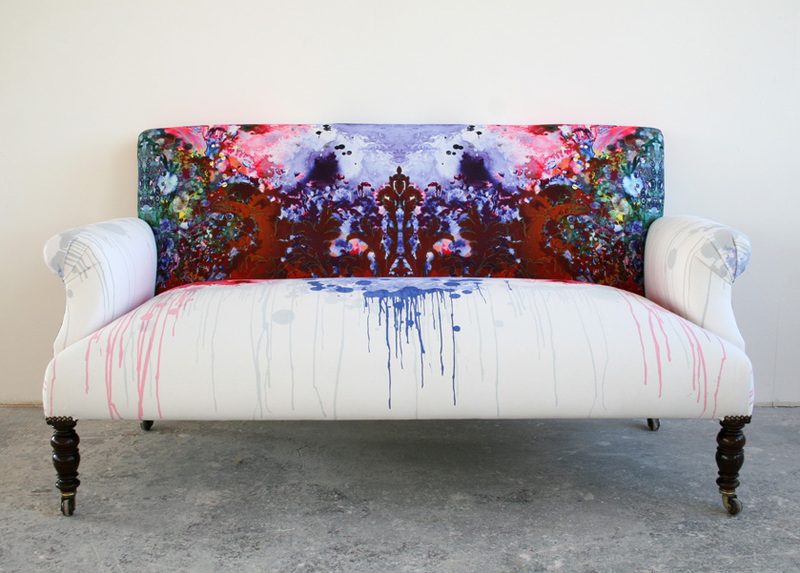 one of my FAVORITE textile designers! Wonder why I haven’t made a post about this amazing duo before, huge mistake, but here they come! 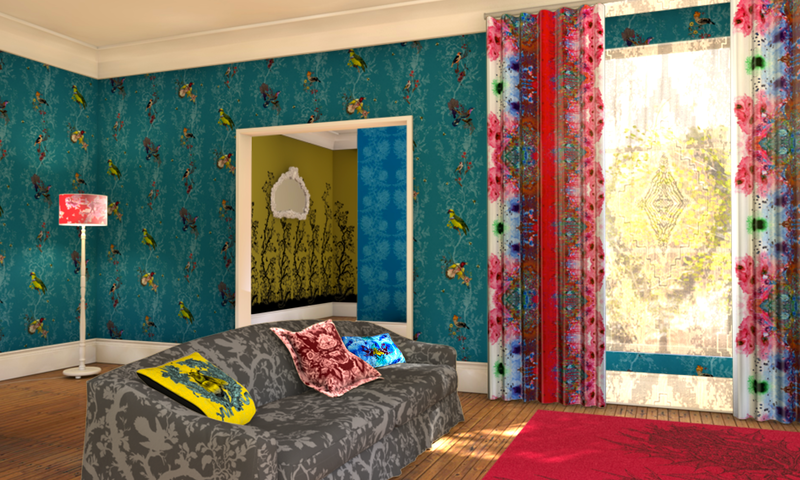 Their textiled furnitures, wallpapers – the entire look is simply one of a kind… AWESOME! I am a sucker for the “messed up” look, its edgy, inspiring and it just makes me smile! You can go all crazy in neon or choose the more classic deep colors! AND, even better they have an online shop offering the coolest rugs, lamps, wallpapers, all you need to create the most wicked and colorful home! Kom lige forbi Timorous Beasties fra Glasgow – En af mine favorit tekstildesignere! Aner ikke, hvorfor jeg ikke har præsenteret den fantastiske duo før, stor fejl, men her kommer de! Deres tekstiler, møbler, tapeter – hele looket er simpelthen, one of a kind… SÅ FEDT! Jeg er en sucker for det lidt “rodet op” look, kantet og inspirerende – det får mig til at smile! Du kan gå amok i neon eller de mere klassiske dybe farver! This entry was posted on Thursday, February 5th, 2015 at 8:55 pm	and posted in DIY Furniture, Interiordesign STARS. You can follow any responses to this entry through the RSS 2.0 feed. « Which door to open?? ?